Are you looking for ways to keep your kids busy this summer? 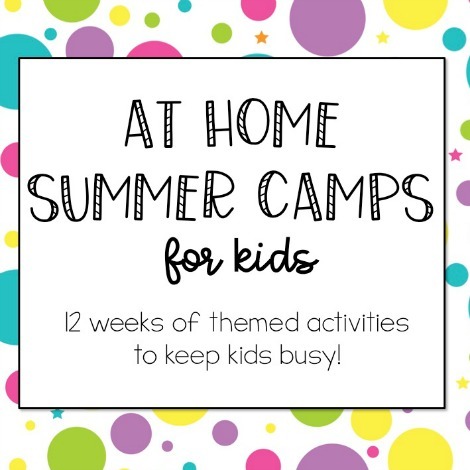 The At Home Summer Camps are here to help you! 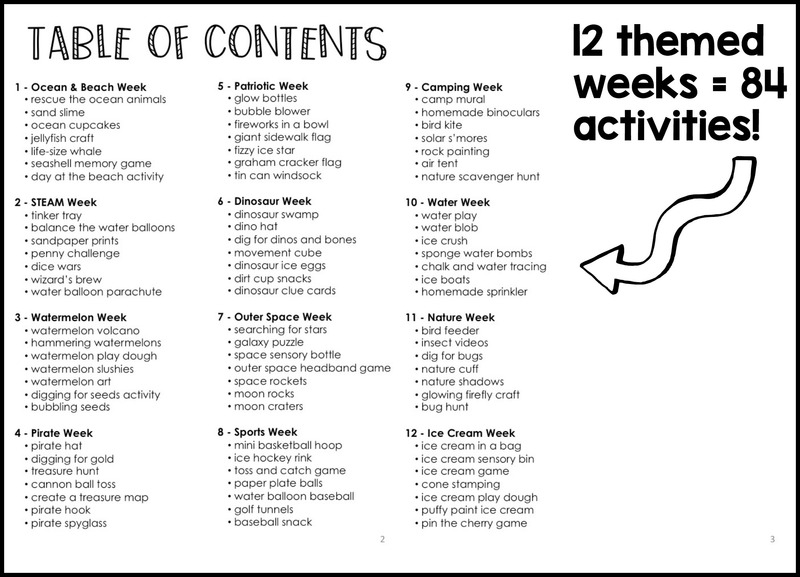 This digital packet includes 12 weeks of themed activities. 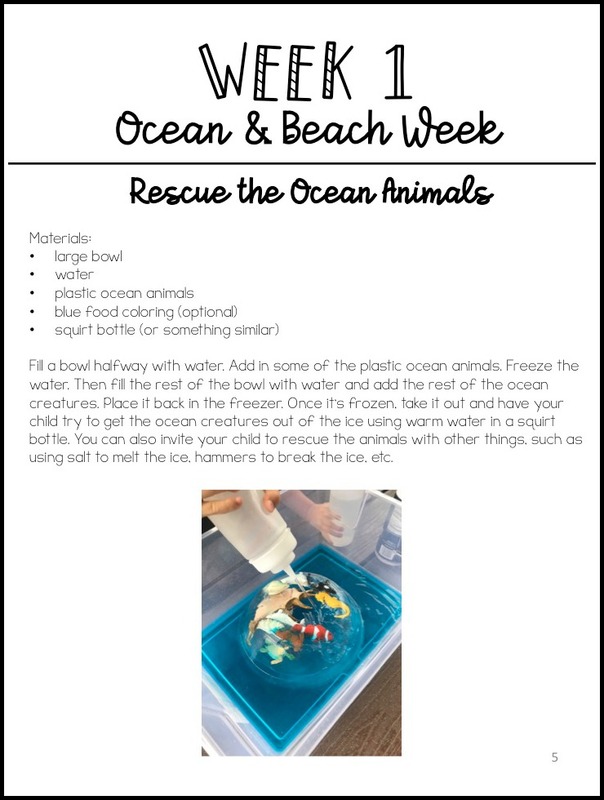 The 84 activities include crafts, games, sensory play, dramatic play, open-play ideas, printables, and more! This packet is a digital product. The packet will not be sent to you in the mail. Here’s a look at the table of contents. These activities have been tested and approved by my 3, 6, and 8 year old boys. The activities that they didn’t like did not make the cut for this packet! Let me help you make the most out of your summer! Don’t spend hours looking for ideas on Pinterest, grab this packet today so you can start making memories with your child this summer! You only have 18 summers with them before they are off on their own, so make the most of your time. 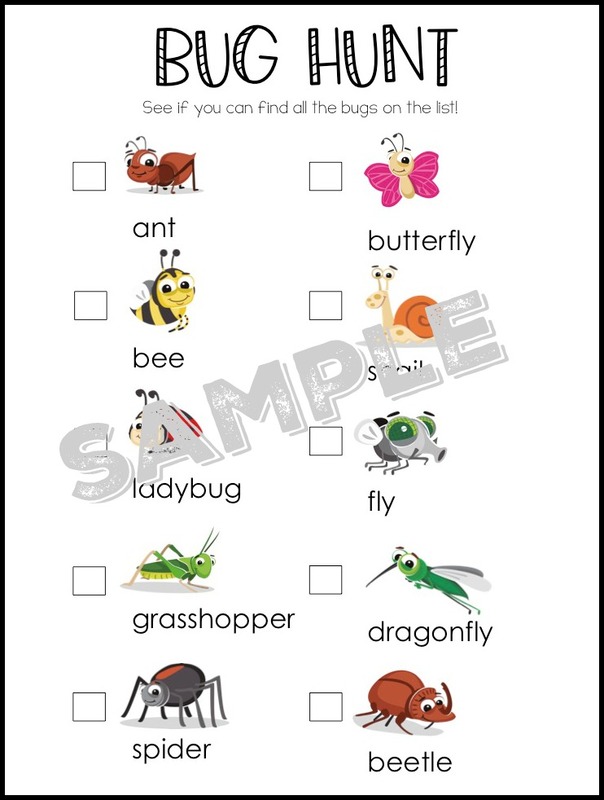 Some of the activities include printables exclusive to this summer packet. These activities are fun, easy, and will make your summer memorable!